Children's Safety Equipment Inspector- Put your handy skills to use to keep children safe! Use your "handy" skill sets and become a valued member of the WestSide Baby team as a Baby Equipment Specialist. 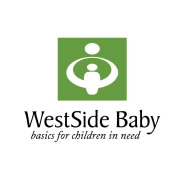 WestSide Baby distributes gently used equipment to children in need, including car seats, strollers, high chairs, baby swings, bouncy seats and safety gates. Your 'handy’ help will assist in ensuring donations are functional as well as safe and will be delivered to recipients in a timely manner. Every piece of equipment that comes through our doors will go through our quality control process of checking for recalls, ensuring each item is safe and functional, as well as, being cleaned up before distribution. Requires some research for certain equipment’s manufacturing processes. WestSide Baby will provide training facilitated by our current Baby Equipment Specialists. Prospective volunteers training will be scheduled during weekdays during business hours. Once comfortable in the role, the volunteer may set their own schedule and will be supported and supervised by current Site Manager. At WestSide Baby, we appreciate our volunteers as they are an integral of our team! Knows how things work, understand the importance of child safety, good attention to detail.